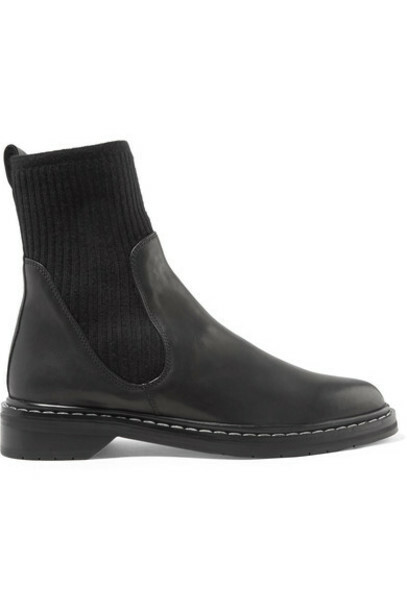 These Chelsea boots have a timeless silhouette that fits perfectly into The Row's lineup. They've been made in Italy from smooth leather and paneled with a ribbed cashmere sock for a flattering slim fit around the ankle. Gently slouch the cuffs so they sit perfectly below cropped jeans.